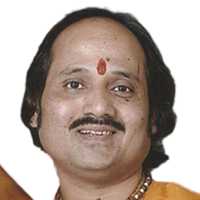 Pt Ronu Majumdar is responsible of popularizing Indian Flute (Bansuri) in the younger generation of this era all over the Globe. India's Ace Flautist needs no introduction to music lovers all over the Globe. By virtue of his phenomenal talent, he and the Bansuri are literally synonymous. If the flute is likened to a temple, Pt. Ronu Majumdar would be its foremost worshipper. Pt. Ronu Majumdar is considered for the most respected name in the Indian Flute Playing of this era. When it comes to Flute, Pt. Ronu Majumdar is a style maker and has invented unique style of rendering the Raga, which has good mixture of 'Drupad Gayaki' with 'Laykari'. Pt. Ronu Majumdar is credited for making flute, a popular musical instrument amongst the youngsters of this era all over the globe. By virtue of his phenomenal talent, he and the ‘Bansuri’ are literally synonymous. Ry Cooder has rightly said 'Ronu is definitely the Dr. Feelgood of the Indian Flute'. 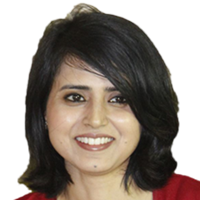 Sniti Mishra is a trained vocalist in Hindusthani classical music who appeared for the first time in the Zee TV musical reality show, Sa Re Ga Ma Pa Singing Superstar. She had been associated with Indo-Swedish Fusion jazz band Mynta. She has also worked with the percussionist Sivamani and Grammy Award- nominated jazz musician-keyboardist Louis Banks. She has performed classical and fusion concerts in India and worldwide. She was honored with 'Baji RoutSamman' for the year 2016 by Utkala Cultural Association, IIT Bombay. During her musical tour to USA, she was invited to judge the Chicago Indian Icon and in September 2013, she was chosen as a Good Will Ambassador for a global charity Combat Blindness International. Mishra has lent her voice for the Bollywood movie Babloo Happy Hai directed by Nila Madhab Panda under the music composition of Bishakh-Kanish. Also she has lent her voice for a Tamil movie Maaveeran Kittu under the music composition of D. Imman. 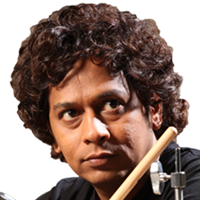 Cricketer turned Bodybuilder turned Drummer, is one of the forerunners in the industry, forever pushing the limits and boundaries of music and leading to creative and unconventional drumming. He is capable of subtler, funkier grooves on the one hand and awe-inspiring solo improvisations on the other. In fact his technical virtuosity is such that his flash could sometimes overwhelm his music. Mukul Dongre, is one of the rare musicians who have brought the flavour of Indian music through western ways, keeping western grooves rocking. Mukul’s drumming reflects power, technique, dynamics and musicality. He adds his own innovative concepts and strengths, thus creating a percussive punch that's unique and his alone, yet highly musical and groove-oriented. He can play in a wide variety of musical genres, but is perhaps most notable for his fusion and Latin music playing. He is mostly known for Afro Cuban Latin drumming which is rare in India. He uses all four limbs both individually and as a collective to present multi-timbral sound scapes, adding Konnakol (the art of performing percussion syllables vocally) which is the fifth element in his Independence drumming, defining the drum set as a contemporary solo instrument for the world stage. I D Rao is a versatile player. 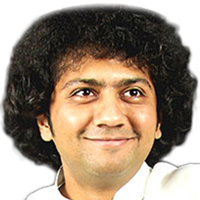 At a very young age he has developed himself in playing the Saxophone and has very good command over his instrument as he can play Carnatic style, Hindustani Style and Western style very well. 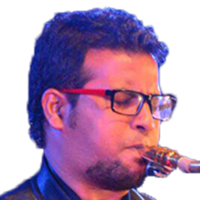 He is the Sax Player for a leading Band called “Samarpan” which has toured almost all parts of the World. 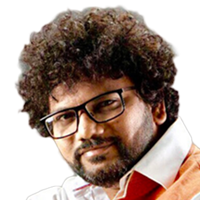 I.D.Rao has contributed music to various Bollywood Movies. He is the leading Jazz Musician in his genre.